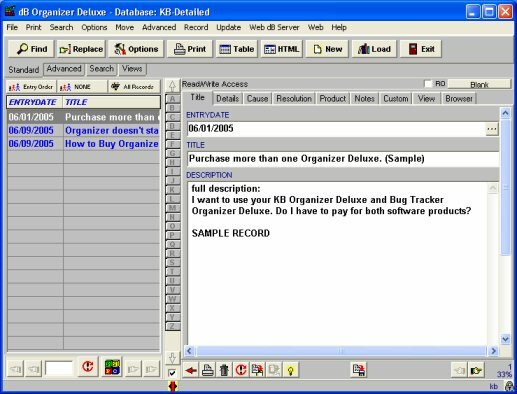 Organize and manage information about all your frequently asked questions, product specification, product troubleshooting, service and support documents, or any other reference articles in a detailed form. Track all your knowledge base records including: kb topic title, entry date, description, category, status, keywords, record id number, revision date, cause, resolution, product name, custom/user fields and notes. Easily maintain information about all your knowledge base topics. Create question/answer reports, manuals, solution catalogs. Create knowledge base reports in HTML form, web ready. 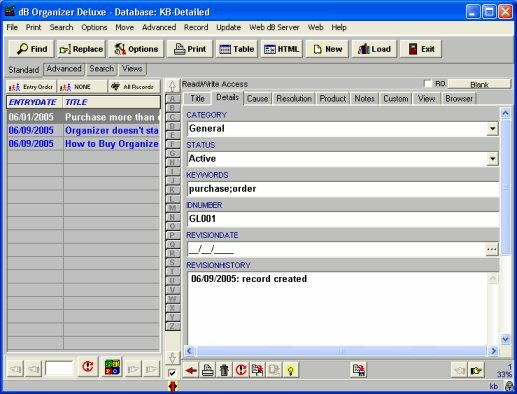 Easily modify database solution or create a new one.